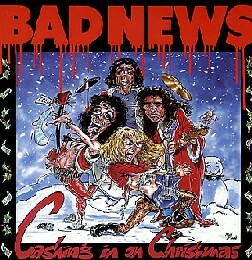 Bad News are an English spoof rock band, created for the Channel 4 television series The Comic Strip Presents.... Its members are Vim Fuego (Alan Metcalfe), vocals and lead guitar (played by Adrian Edmondson); Den Dennis, rhythm guitar (Nigel Planer); Colin Grigson, bass (Rik Mayall); and Spider Webb, drums (Peter Richardson). Their first appearance was in 1983, in the first series of The Comic Strip Presents... (written by Edmondson, and produced by Michael White/Comic Strip Productions). 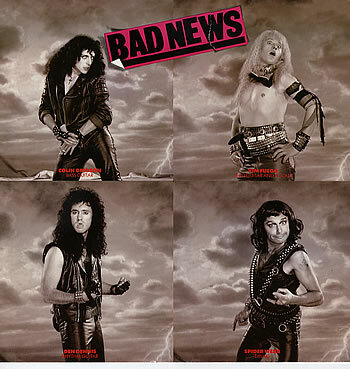 The episode, Bad News Tour, took the form of a spoof rockumentary, in which the incompetent band is followed on tour by an almost equally incompetent documentary crew. Coincidentally, it was in production at the same time as the similar film This Is Spinal Tap, which was released the following year to much greater acclaim. 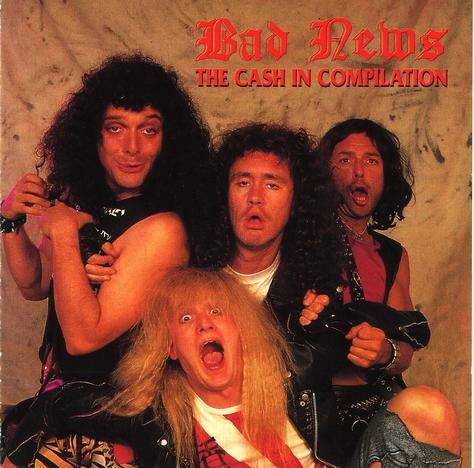 Beyond the premise, the two aren't that similar: Spinal Tap have some talent and a lot of success, while Bad News has neither. 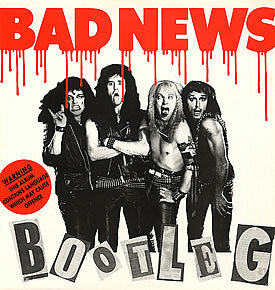 The band also guested on some TV music shows and released a self-titled album, consisting of thrashy rock songs interspersed with arguments amongst the band. Brian May of Queen produced the album, which included a cover of Queen's "Bohemian Rhapsody". They also played a tour of universities and polytechnics as well as playing Reading Festival in 1987.They also had a suitably bad opening set at the Monsters of Rock festival at Castle Donington. 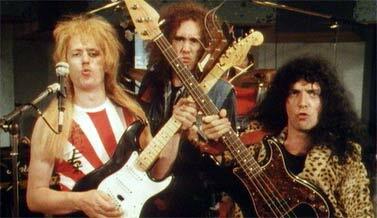 This performance was featured in a second Comic Strip film, More Bad News, broadcast in 1988.